The AMD Radeon HD 7640G + HD 7670M Dual Graphics is the combination of a integrated AMD Radeon HD 7640G APU processor graphics card and a dedicated entry level AMD Radeon HD 7670M graphics card in CrossFire combination. It is called AMD Dual Graphics or asymmetric CrossFire and uses AFR (Alternate Frame Rendering) to render different frames on the two graphic cores. Therefore the combination also suffers from micro stuttering (different spaces between two images lead to stuttering altough the framerate is high enough for fluent gaming with only one GPU). The performance of the Dual Graphics solution depends greatly on the driver support for the used games. In some games the performance may even degrade by 10-15% compared to using only the APU graphics card. Therefore, due to the micro stuttering and performance problems, Dual Graphics may impose more problems than bring performance gains. Only in a best case scenario the performance is similar to the GeForce GT 635M. 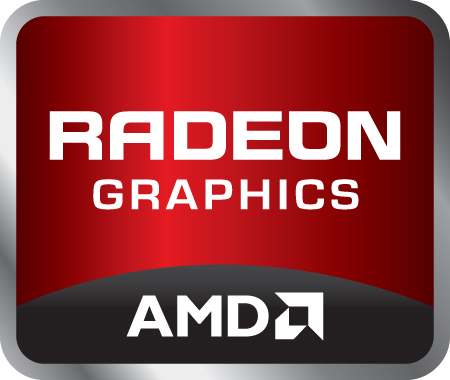 The AMD Radeon HD 7670M is a middle class graphics card for laptops and based on the same chip as the Radeon HD 6650M. Therefore, it supports DirectX11 and is still manufactured in 40nm. According to AMD there are two versions available, a slower clocked Thames-Pro with GDDR5 memory and a faster clocked Thames-XT with DDR4 memory. The 480 Stream processors should be still based on the "old" 5D architecture similar to the 5000 series. Therefore, the number of shaders is not comparable to the 1D cores of current Nvidia GPUs. The Tessellation performance should be improved (like the desktop 6800 series) with the new cards. The Stream processors can be used with DirectX 11, OpenGL 4.1, DirectCompute 11 and OpenCL. With the later two the cores can also be used for general computations like transcoding videos. The 3D performance should be identical to the Radeon HD 6650M. However, in our benchmarks the card positioned itself sometimes even on a level of the higher clocked Radeon HD 6730M (same chip). Keep in mind that different driver versions and CPUs may also impact the benchmarks. However, demanding games of 2011 like Battlefield 3 only run fluently in medium detail settings. See at the end of this page for detailed gaming benchmarks. Compared to the competitor, the 7670M positions itself in our tests slightly above the GeForce GT 630M on a level of the GeForce GT 550M. The new UVD3 video decoder supports the decoding of MPEG-4 AVC/H.264, VC-1, MPEG-2, Flash and now also Multi-View Codec (MVC) and MPEG-4 part 2 (DivX, xVid) HD videos on the graphics card. Furthermore, the HD 6600M series integrates a HD audio controller to transmit HD audio (TrueHD or DTS Master Audio) over HDMI and DisplayPort (e.g. for Blu-Ray videos). The AMD HD3D Technology offers support for Blu-Ray 3D and 3D displays (integrated and external). However, the solution is not as mature as Nvidias 3D Vision. Thanks to Eyefinity the graphics chip is able to theoretically drive up to 5 monitors simultaneously. However, this only works if the laptop features enough DisplayPort outputs. The power consumption of the chip should be similar to the Mobility Radeon HD 5650 and therefore suited for 15" laptops and up.